Ancestral Quest 15 is here! There are new features to enjoy. We'll review a couple of them today in this blog. The ability to view one's pedigree beyond the standard 5 generations is something many have asked for and is now finally here in AQ15, you'll find that if you have one of those large monitors, you can view up to 7 generations, otherwise you'll be able to view up to 6 generations. 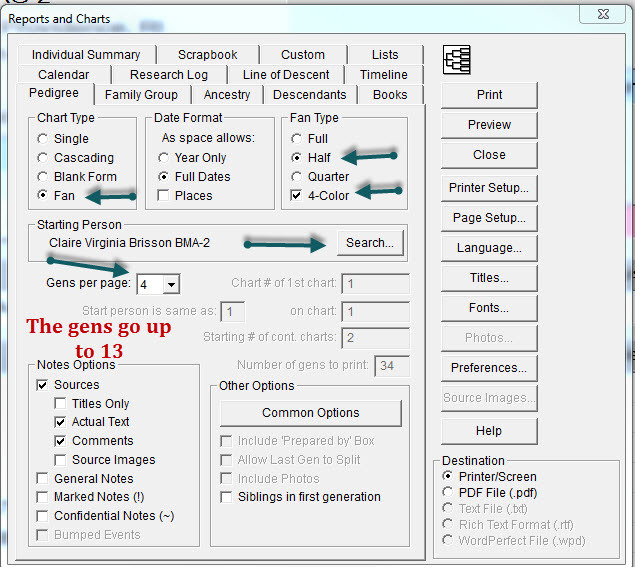 There is a convenient slider in the upper left corner where you can adjust the number of generations. Another feature is the side by side merging. If you prefer the other merging feature, you can switch back to by clicking the icon next to the side by side icon. Another great feature is the hints you get from FindMyPast, MyHeritage, FamilySearch, Ancestry and RootsWeb. Hints can lead to locating additional data and family on lines that may be blocked or at a standstill. 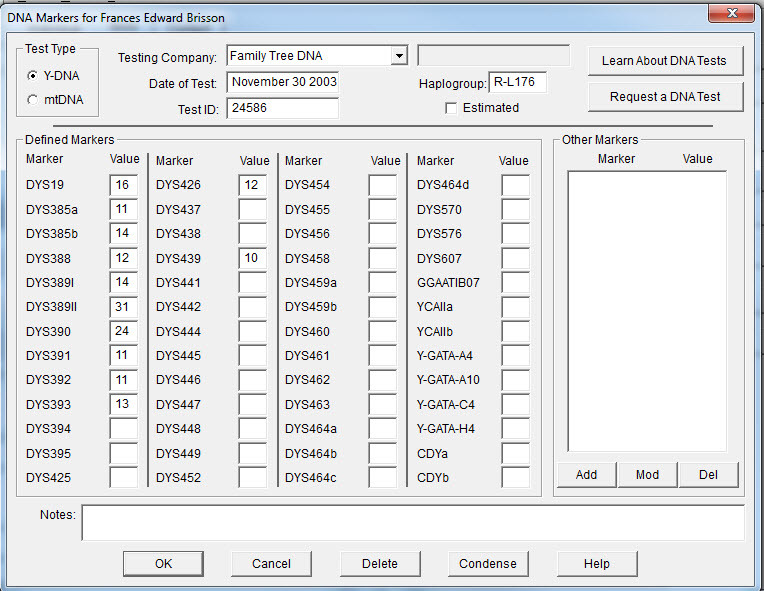 In next week's blog we'll explore the new FamilySearch features that have been added to Ancestral Quest 15. 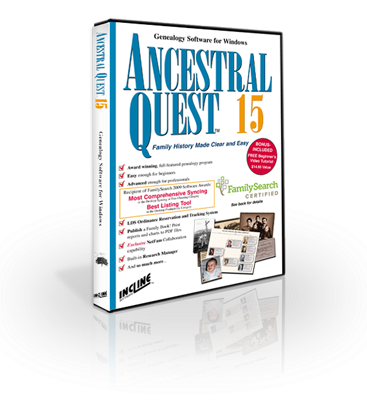 Be sure to purchase Ancestral Quest 15 to enjoy these great features and many others! Remember Ancestral Quest is fully FamilySearch Certified! 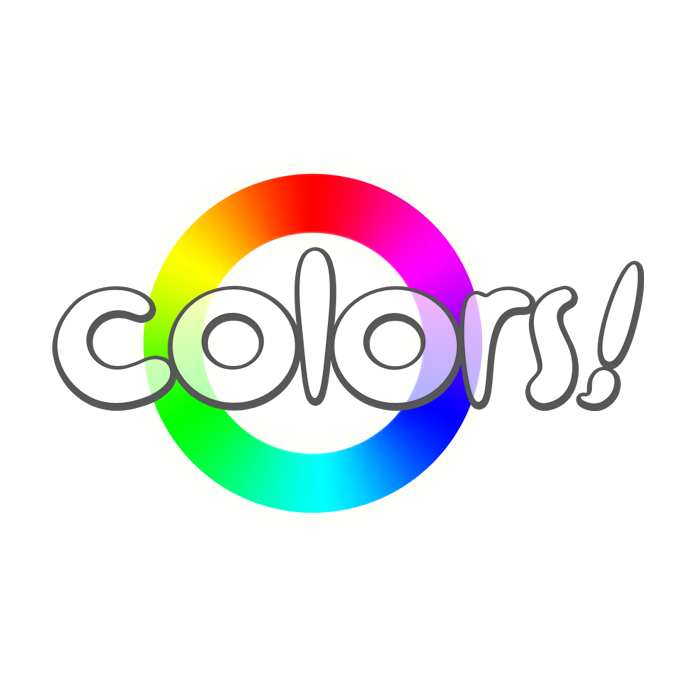 Colors help us in many ways each day. The bright sun lifts our spirits and sometimes the dark dull skies do just the opposite. Color has a way of setting a mood in a room as well as providing a calm reassurance all around us. 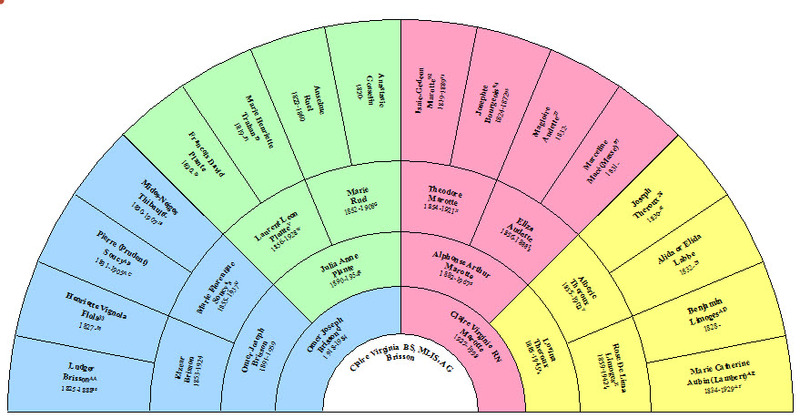 In genealogy, colors help us to stay organized and know what family lines we are working on. 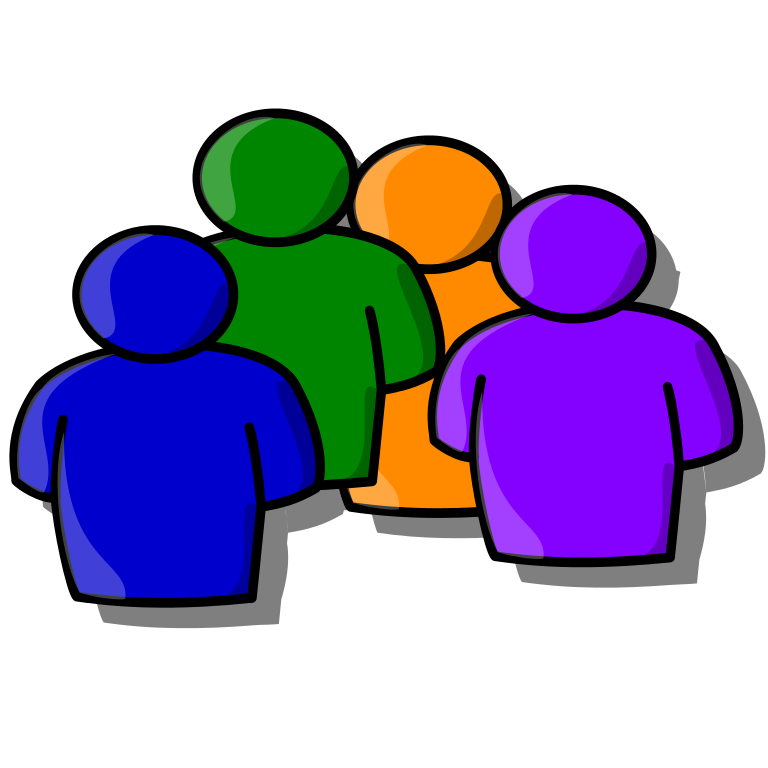 This system was developed awhile ago, I'm not sure who actually invented it, but my colleague, Mary E. V. Hill, developed a whole organization system around the four colors of Blue, Green , Red, and Yellow. Note that you need to have the root person in that 'Selected person' location for the 4 colors to be set in the right order with the correct families. This is set to all your direct lines throughout your whole database/family file. 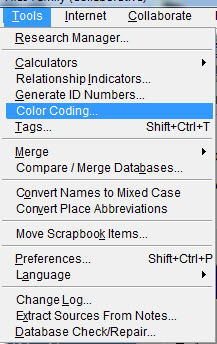 If you add additional individuals you'll need to re-set the colors again to include them. A good rule is to reset them about once a month depending on often you work on your file. 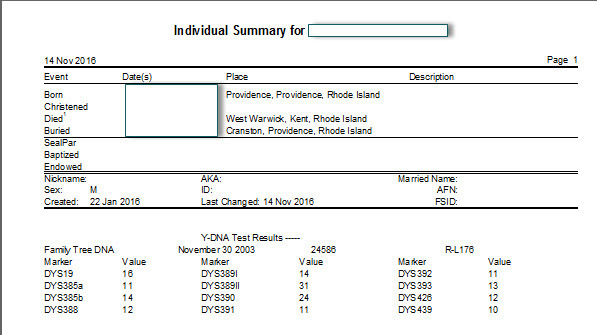 This same color system flows over to the various charts which also match the color charts you'll see on FamilySearch.org and other genealogical websites. When printing a color coded fan chart in Ancestral Quest, you simple choose the fan chart you want, a full circle, half, or quarter and then check the 4-color and you are now ready to create and then print your colorful chart. Of course this is only a small 5 generation chart, one can make one up to 13 generations, when you make one that large you'll need to save it as a PDF and have it printed for you unless you have a very large color printer. Enjoy this colorful feature and many others in Ancestral Quest. 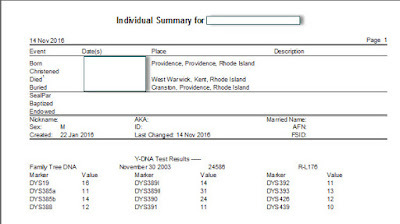 When it comes to recording your DNA results in your software, Ancestral Quest has a place for you to enter that information. Simply enter the results in the appropriate locations and it is now saved for future comparisons. This information can be part of the "Individual Summary" report. Here you can view the results in a report. 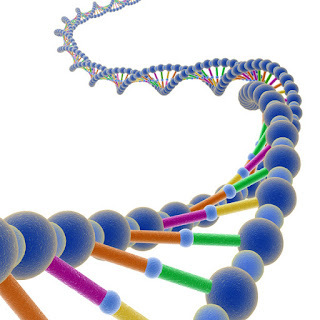 Take advantage of this and many other features in Ancestral Quest. When working with multiple spouses in Ancestral Quest, you have the option to set it to a specific spouse, as well as adding however many spouses there are in that particular family unit. To add an additional wife, one simply highlights the husband, then click on the "Add Spouse" button. Notice the button in the lower right hand corner above, in your program, it is half way down on the right side. When you click that button, a screen opens up to add a spouse to the highlighted individual, one should always check that information in the upper left hand corner to make sure the additional spouse is being added to the correct individual. Or you can click on the "Order" button just above the "Add Spouse" button. If there are additional spouses to be added, simply repeat this process. Enjoy all this and all the features with Ancestral Quest today! 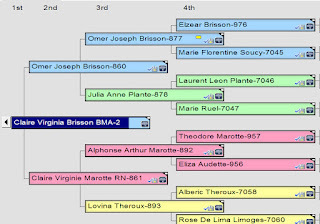 When it comes to creating charts, Ancestral Quest has a large selection of charts that an individual can create from their family information. To get to the section to print charts, one simply clicks on the 'printer' icon or you can get there by clicking on 'File', scroll down and click on 'Print Reports and Charts'. Looking at the above menu, we'd like to point out how one can click on any one of the tabs at the top to get to the type of chart one may be wanting to print or create to share. Each tab has a few different things on it but they all have a lot of similar items too. 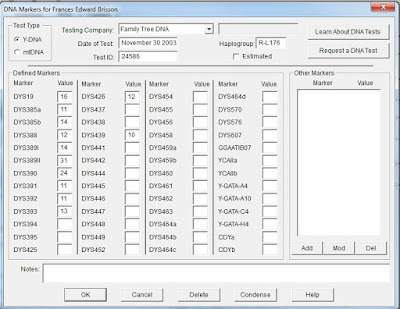 They all have a Common Option button which is where you can suppress RIN and MRIN numbers on a report as well as include Relationship Codes, Multiple parents indicators, color coding and tags. To the right under the Preferences button you'll find the place either include LDS Data or not, capitalize surnames and add color. The button labeled Source Images provides you with the ability to add a caption and a description to the images. The Fonts button allows you to change the size of the font for various parts of the chart or report you are creating. The Printer Setup button will allow you to change it to a PDF or to print the chart or report and the Page Setup button allows you to adjust the size of the paper, this is a nice feature if you are printing a large wall chart that will be printed on a special printer for large charts. With this large variety of altering that can be done to a chart, one can definitely create some great looking charts. 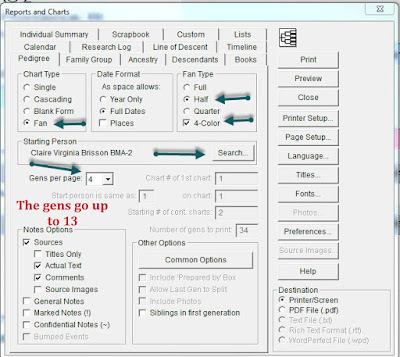 Here is a link to review some of the charts that can created with Ancestral Quest. 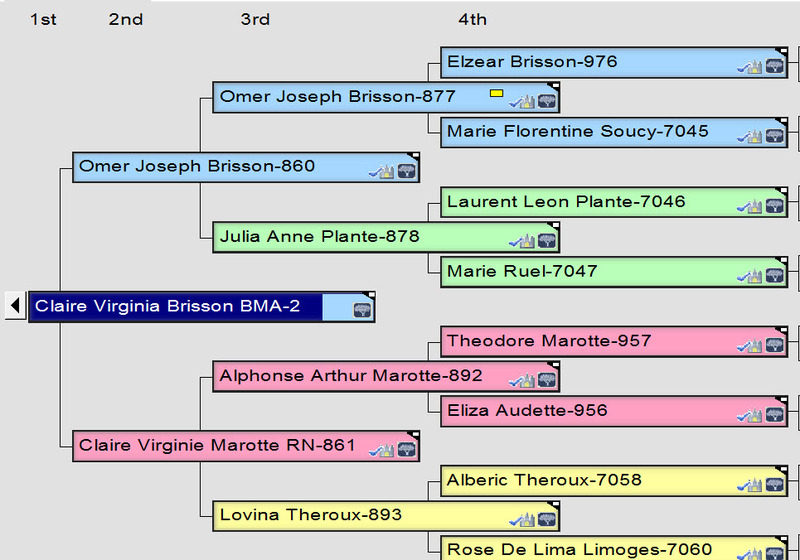 Enjoy these wonderful chart features and more with Ancestral Quest today! Today Icons are everywhere we go, from icons in a store to icons in a magazine or a newspaper to computer programs and even in emails and text messages. They are helpful in conveying a message to the receiver of the icon or the user of a program. Ancestral Quest, like other programs, has these icons at the top of the program as shortcuts to various features in the program. Many times individuals are unaware that they are there to provide shortcuts to features and will use the drop down menu items to complete a task adding additional keystrokes. Lets review the ones that are there in hopes that you'll be able to use those icons and save a few keystrokes the next time you are in Ancestral Quest. With each of the above commands, there is a matching location in the various drop down menus located right above these icons along with many other commands. Enjoy these and all other features of Ancestral Quest!